I've told you how much I love the Weekend Wrap-up Link Party at Tatertots & Jello. 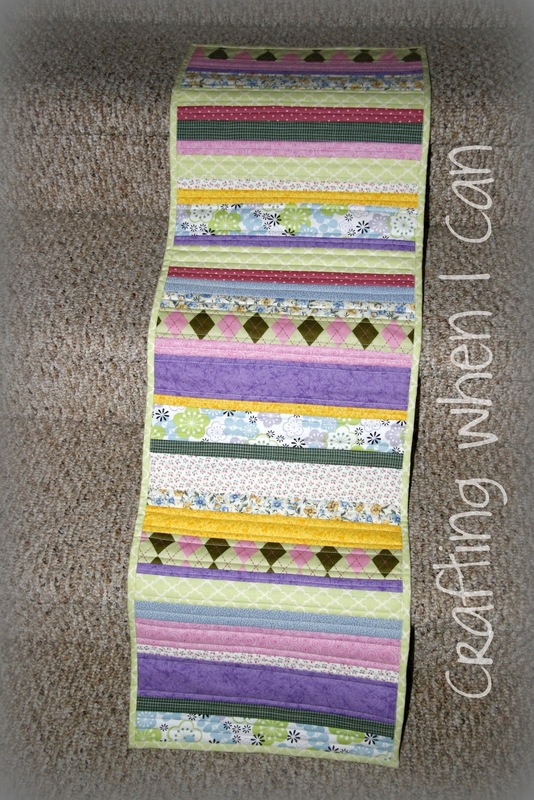 A few weeks ago, I found the tutorial for this table runner through the link party. 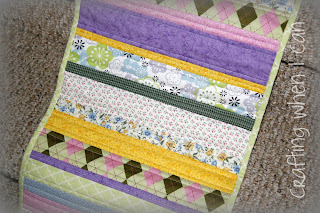 You can find all the instructions at Diary of a Quilter. Amy Smart's tutorial is very well-written with lots of great pictures. If you are comfortable sewing, you should be able to follow along easily. This was a 3-nap project for me: 1 nap for cutting and arranging the fabric strips; 1 nap for piecing and quilting; and 1 nap for the binding. I'm really branching out here, color-wise. My house is mostly decorated in red, white, and blue Americana. Pastels just aren't something I'm usually drawn to. But I thought for spring/Easter, I would make an exception. the colors aren't coming out quite as vivid as they are in person, but the back is a limey spring green. I can use the runner on either side. 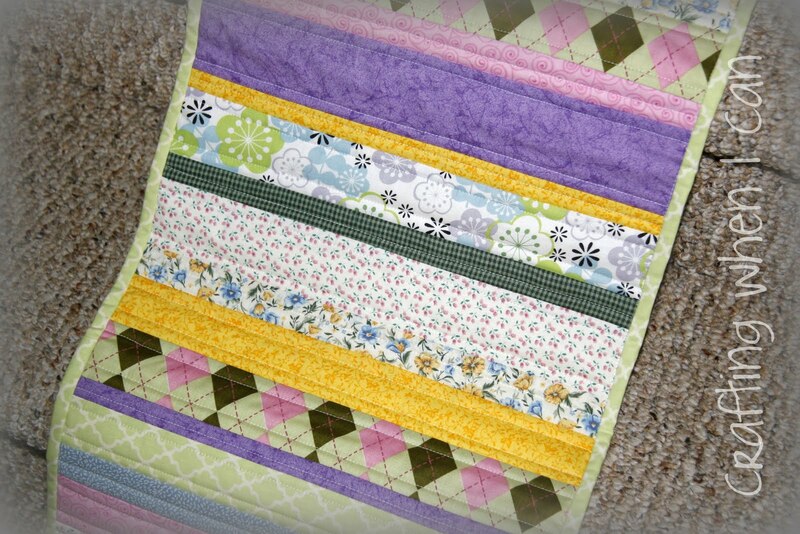 I love the runner you made! 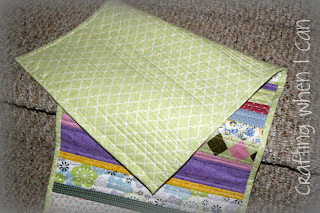 The fabrics you used are some of my favorites. 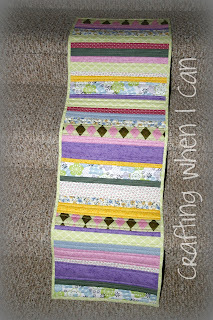 :) I made a runner like this past Thanksgiving and really loved her tute.